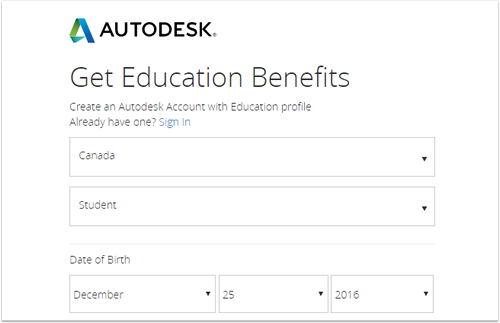 Register for an Autodesk account at http://www.autodesk.ca/en and follow the steps below. 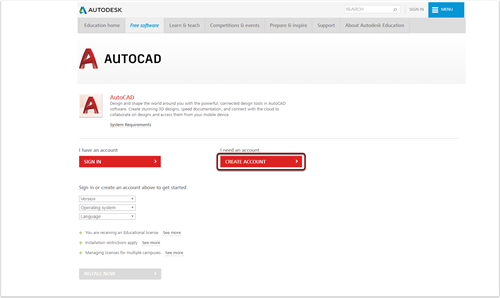 The account will be used to install any Autodesk products. 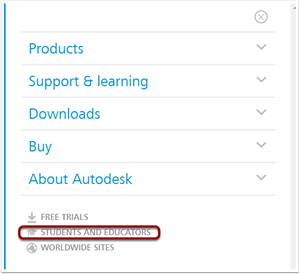 Click the MENU pull down in the top right of the screen and select "STUDENTS AND EDUCATORS"
Click "Get free software" on the left side of the screen then access "All products". 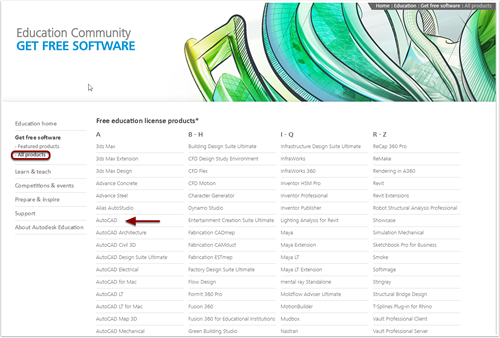 Search through the provided list for the required software (ex AutoCAD). Click "CREATE ACCOUNT" found in the center of the screen. Follow the instructions, identifying the "Country of your educational institution" as "Canada" and your "Educational role" as "Student". Then provide your birth date information where prompted. Provide your first name, last name and your MOHAWK COLLEGE email address. 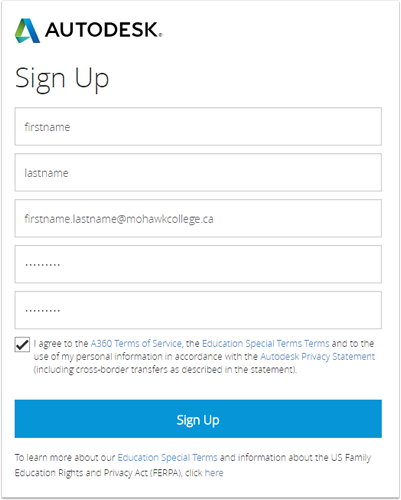 Now click "Sign up"
You should be sent a confirmation email to your Mohawk college Email address. Be patient as this will sometimes take a few minutes. 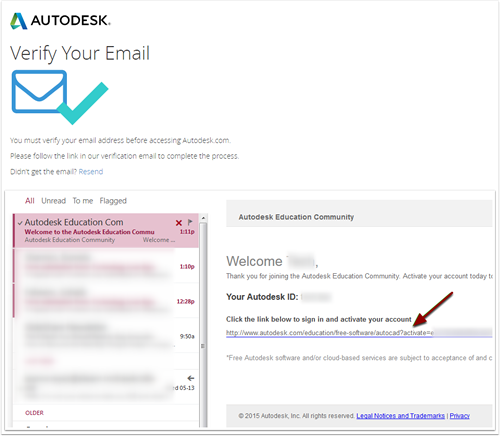 Once the email is received, follow the steps as prompted and then sign into the Autodesk website. You should be sent a link to register activate your account.